Do you have a family heirloom that just won't run anymore? Before you give up on it, let us take a look. 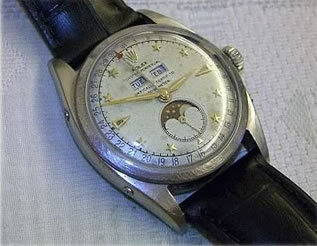 We have years of experience repairing and restoring fine antique and vintage watches. If your watch is repairable, chances are we can fix it. When we determine what cindition your vintage watch is in, we will call you with an estimate. If you want the repair done, we will ask you for a Mastercard or Visa credit card for payment when your watch is returned. If you do not want the repair done, there will be a $35 return fee. Everything is returned via FedEx, so please make sure with a valid street address at which you will be available to sign for your watch.